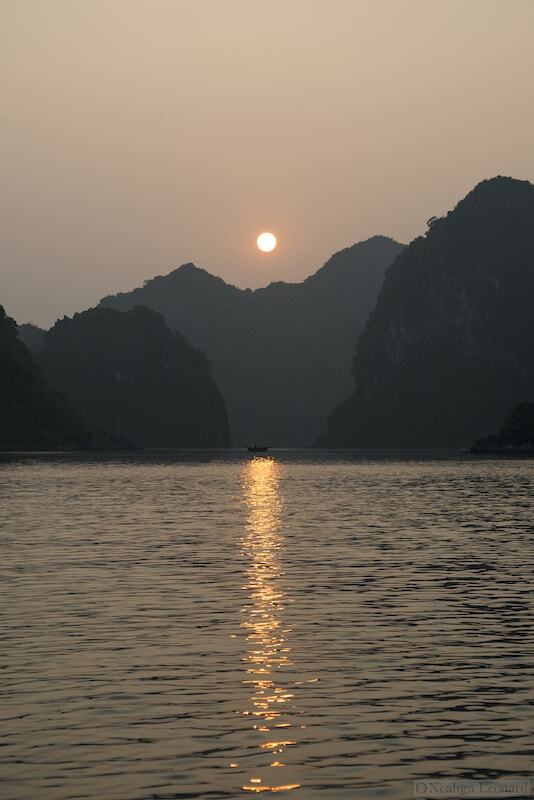 Every year, millions of travelers come to Ha Long Bay to explore and party in the beautiful crystal clear waters, however just miles away from one of the biggest tourist destinations in the world lies a small island with a world unto itself. 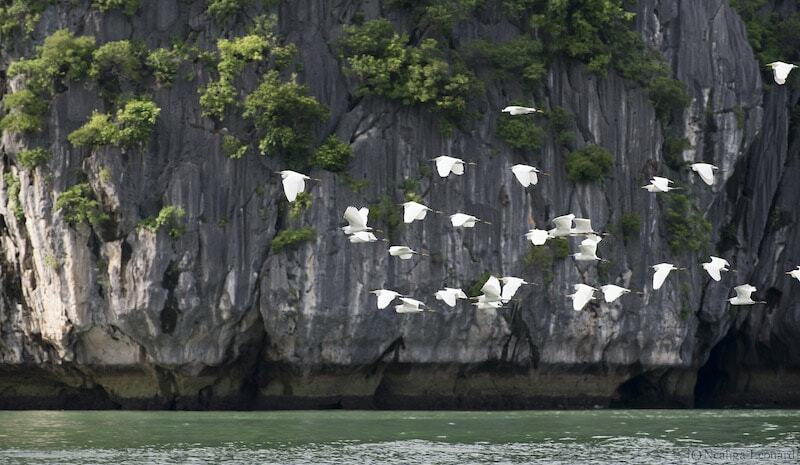 This complex eco-system, with emerald waters and limestone karsts soaring up to 200 feet in the air, houses flora and fauna found nowhere else in the world. 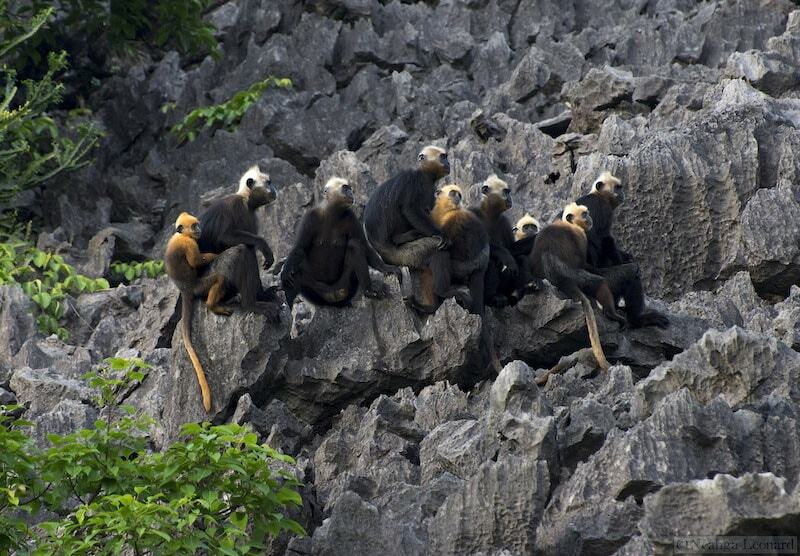 Of these endemic species is the second most endangered primate in the world—the Cat Ba Langur. The terrain might seem inhospitable, but these langurs were made for it, cruising over unsteady rocks formations that hang precariously over precipitous drops. 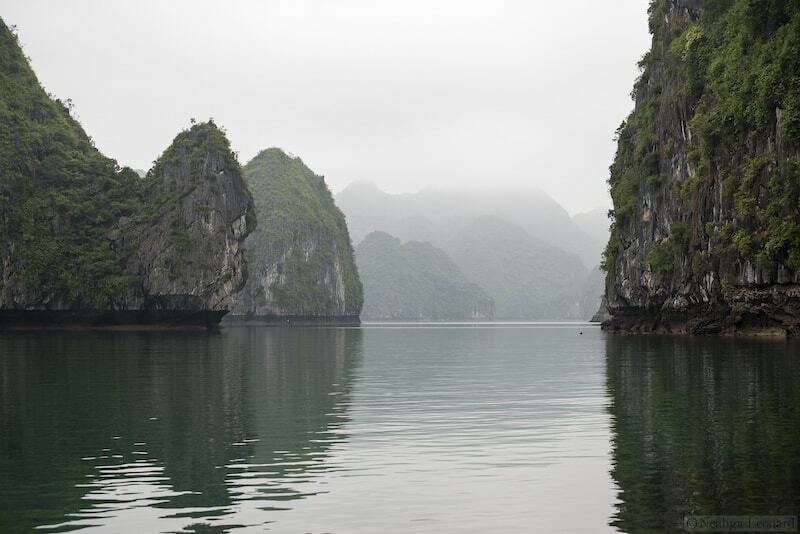 Ha Long means “descending dragon” in Vietnamese, and the location indeed looks as though it was a place that time forgot, Of all its inhabitants, the is Cat Ba langur is perhaps the most forgotten. In a plight unknown to most of the world, the Cat Ba only has 63 in total and is walking on the razor-thin line of extinction. Recently, I have had the opportunity to speak with the man who is dedicating his life to ensure that the Cat Ba stays around for years to come. That man, Neagha Leonard, is the Program Director for the Cat Ba Langur Conservation Project, the only on-site organization exclusively dedicated to protecting the Cat Ba Langur. Neagha is a fast talker, but in his condensed speech is incredible value. He has a wealth of knowledge, not just with the Cat Ba Langur, but with various other environmental issues and projects due to his extensive conservation experience in both North and South America. Although our conversation lasted only a little over an hour, it seemed like he could have continued to blow my mind for days. 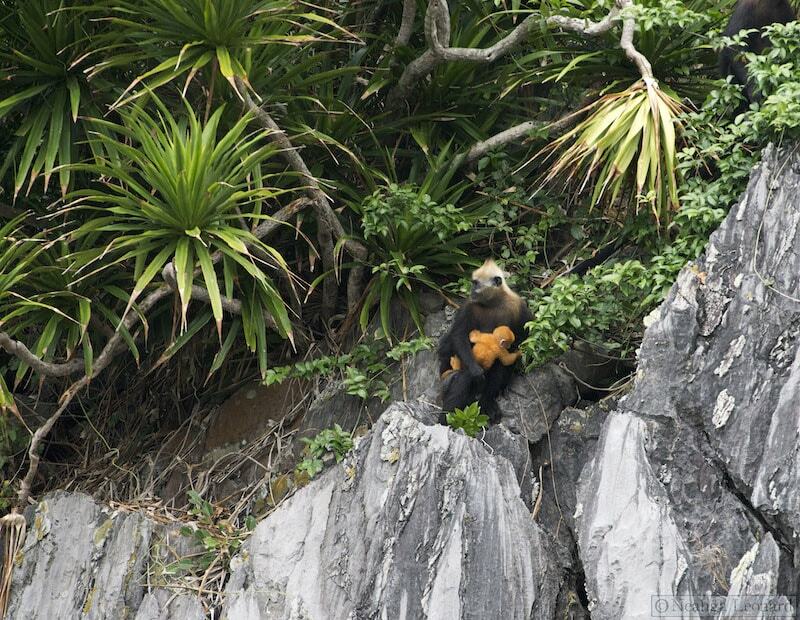 Since 2000, the Cat Ba Langur Conservation Project has worked tremendously hard to save this species from disappearing from the earth entirely. Neagha’s involvement started in 2014, and he has seen the population increase slowly, but steadily since. However, the Cat Ba Langur wasn’t always in this predicament. In 1960, the population was calculated at 2,500-2,700 individuals—still a frighteningly low number, but much more manageable. Since then, it dropped tremendously to 100-130 in 1999, then to only 53 in 2000, and 2003 saw the all-time low of 40 individuals. However, as Neagha explains, it’s not the overall number that matters, but rather the number of reproducing adults. Under that criteria, there are only 32-33 reproducing adults split amongst two different sub-populations. When I asked whether he’d need to relocate and introduce the two factions together, things seemed to get pretty complicated. “Well, the difficulty is catching the animal” he began to explain, and suddenly, I felt that the question that I once thought was very well thought out, might have needed a little more baking. “You’d have to take the entire group…. if the group is too small, there are no babies, there seems to be a critical minimum number the group needs to reproduce.” On top of that, as it turns out, tranquilizing the langur would do significant damage to the langur itself since it would have to go very fast and forcefully to reach the animals in the cliffs above. Additionally, using a tranquilizer means you’d risk losing the langur entirely if it were to immediately become disoriented and fall from such a height. However, most likely there will be a time where Neagha and his team have to introduce the sub-populations together, and when that time comes it will be incredibly difficult to determine how it will play out and exactly what organizations would be involved. The local Vietnamese people can be both an asset and a threat to the survival of not just the Cat Ba langur, but any species that are endemic. In 2015, he and his program lost an entire subpopulation of Cat Ba due to hunting, and since then, Neagha and his team have stepped up efforts to make the locals proud of the valuable asset their home has and has come a long way. Naturally, the question is are these efforts working as a whole. 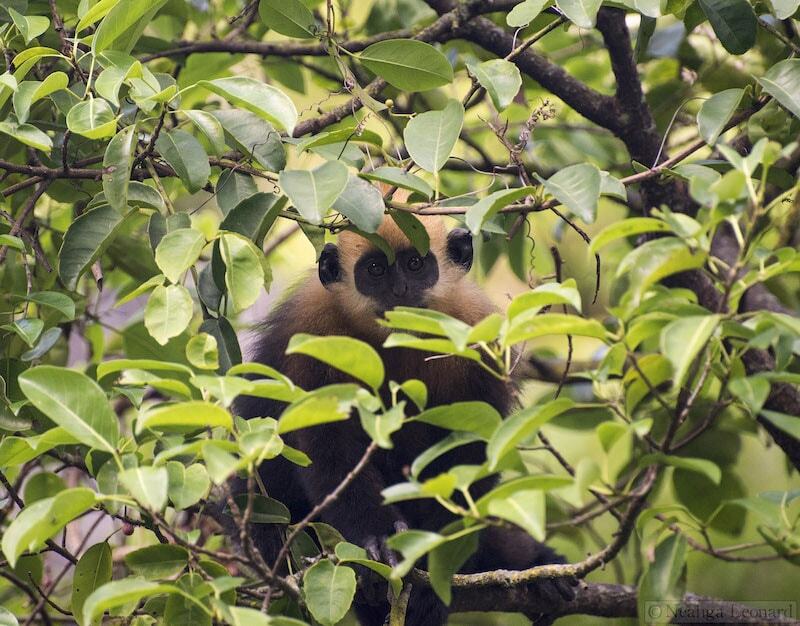 While there are studies that prove that some primates can significantly benefit from eco-tourism efforts—especially mountain gorillas under people such as Craig Sholley of African Wildlife Foundation—Neagha doesn’t see how that would be an option for the Cat Ba langur, or anywhere in Southeast Asia. Sadly, Neagha believes that differences in cultural expectations, overall accessibility, and legal and political corruption is why primate eco-tourism is failing not only the Cat Ba Langur but also with orangutans, gibbons and the slow loris. 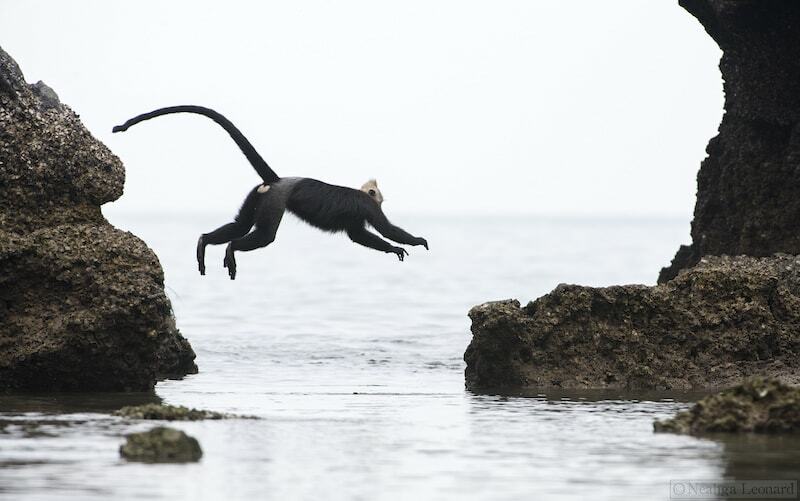 He cites that current eco-tourism in the area can introduce new diseases to non-human primates, and often promotes violence between the primates, and otherwise completely rewrites how these primates co-exist. Because of that, nature programs have failed. “There is lot of direct contact with the animals....and a lack of appreciation for the animals that these are wild animals. They aren’t pets, they aren’t toys, you’ve got to keep your distance”. 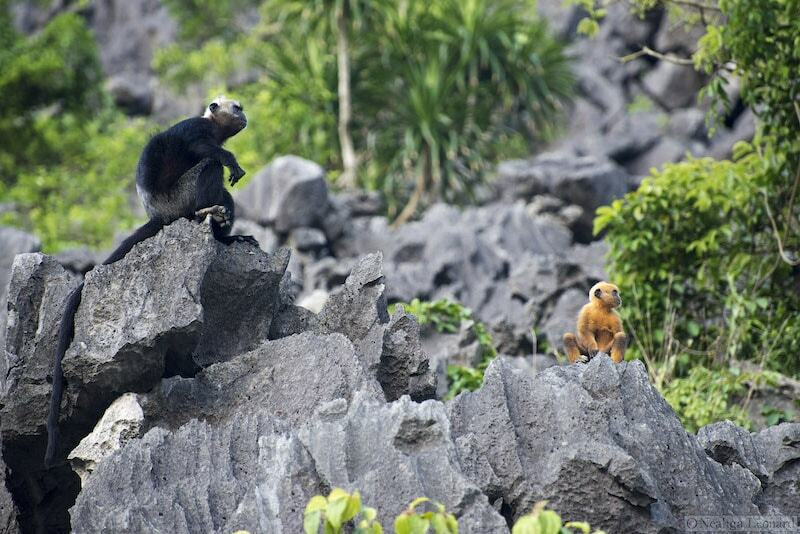 Unfortunately, the Cat BA Langur is not the only threatened species on the island. 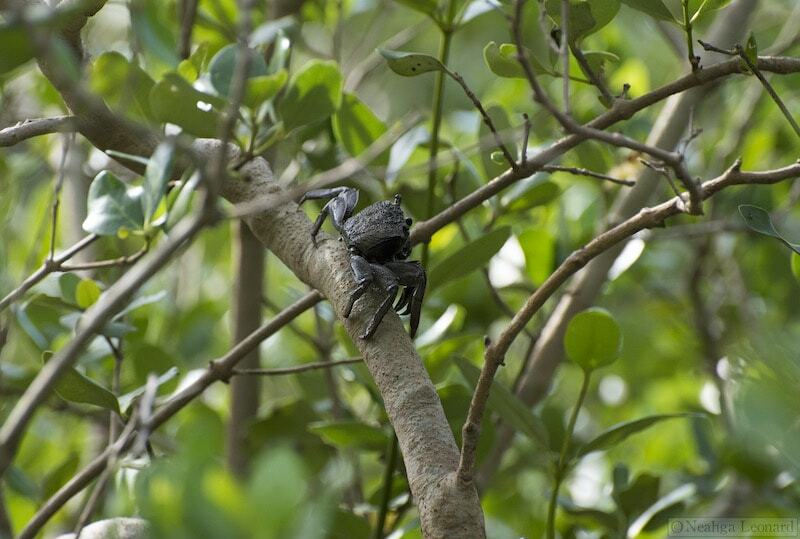 The wildlife of Cat Ba sees no relief throughout the year and a different animal species is jeopardized depending on the season. 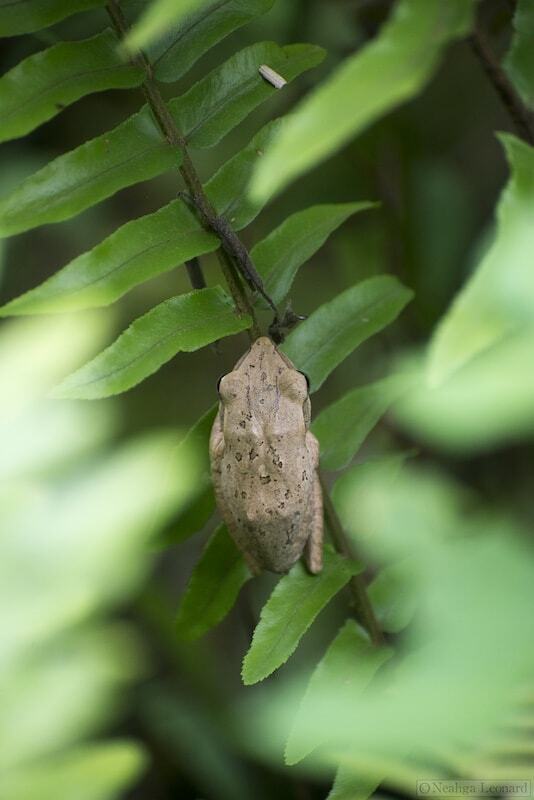 During the rainy season, the frogs come out and are hunted. In the summer, when the area gets roughly 1.1 million local tourists, both ornamental and medicinal plants are poached to sell. In September to November when birds migrate, they are caught in large nets. Life is far from easy on this beautiful island. Frankly, I love talking to people like this. The Cat Ba langur is a species relatively unknown to the world, so much so that they were confused with another species entirely. Yet, Neagha and his team of 3 other researchers have dedicated a large portion of their lives to protecting them. It’s Neagha Leonard’s primary mission to save the species, to keep informed or to help with his efforts, you can follow them on Facebook.